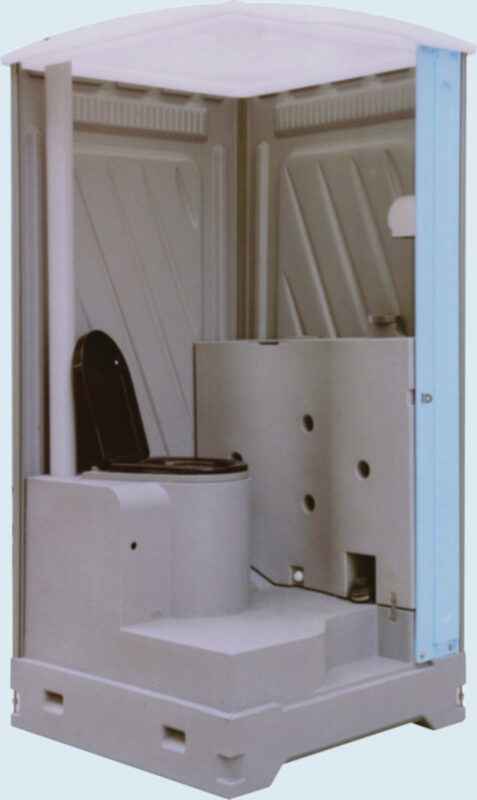 HDPE Deluxe Bio Toilet With Commod – Go Green Solutions Pvt. Ltd. 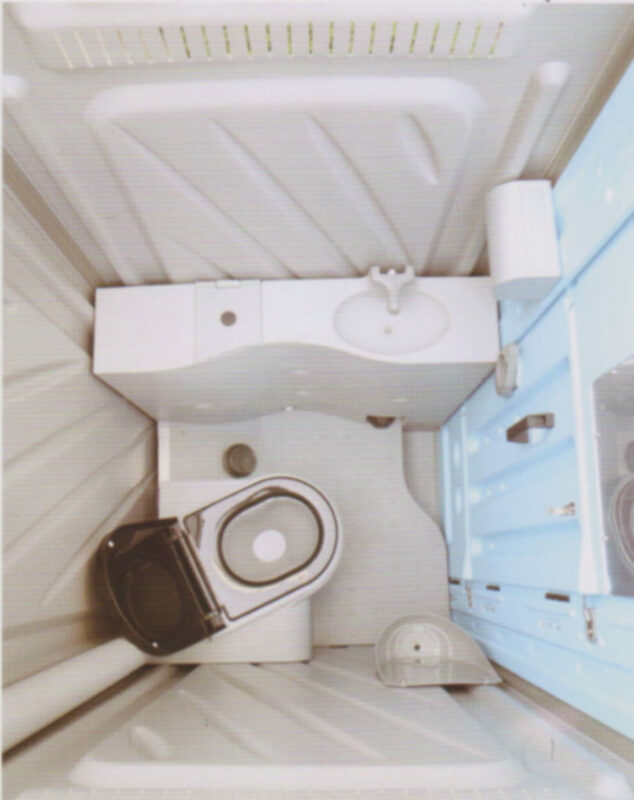 Inner Equipment : Lock, Paper Shelf, Mirror, Hook, Doorknob, Basin, Water Pump, Flush Pump, Vent. 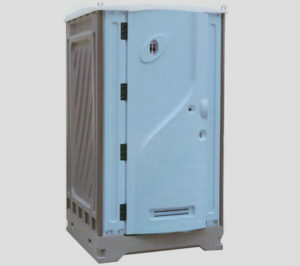 Material : HDPE with UV-Inhibitor, anti-aging, and oxidation resistance. 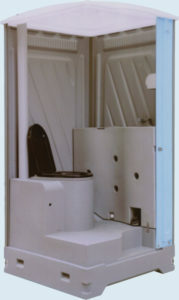 With rotational molding technology, the toilet is strong and durable. No odor absorption, anti-corrosion, highly tensile and shock resistance, environmentally friendly and recyclable. Easy to clean and elegant appearance. The design of window shutter enable the toilet a excellent ventilation and translucent roof increase the transmission of light capacity. Easy to install, only screw and wrench needed, other water and sewage pipelines are not required. Warranty : 1 year for pump and 6 years for other parts.